These smart organization ideas for small spaces include 5 ways to make the best of your space by using clever and inexpensive storage options. One of the things I hear most from my readers is that you want a home that is both beautiful and functional. But how do you achieve that when there’s stuff everywhere? 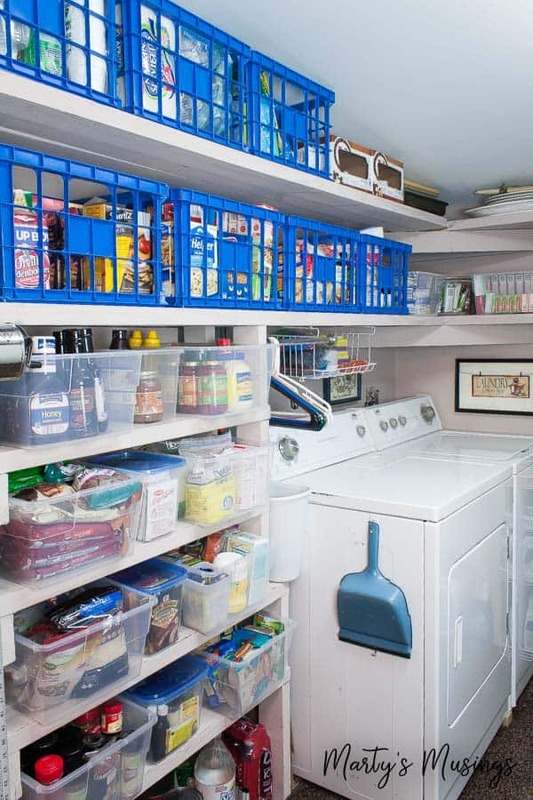 Even if you have a large home, I guarantee that you’ve probably filled every closet and drawer possible. 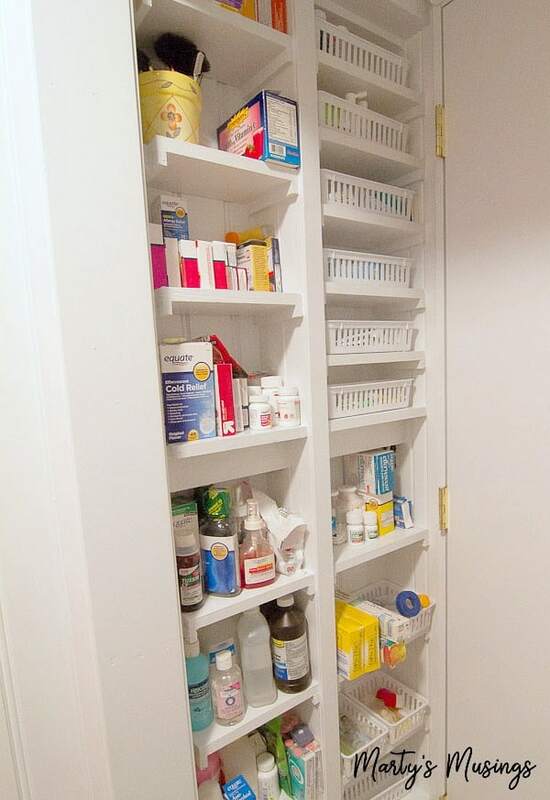 Ahhh, the frustrating and often overwhelming search for more storage space! Am I alone with the thought that no matter how much space you have it’s never enough? Can I get an amen? 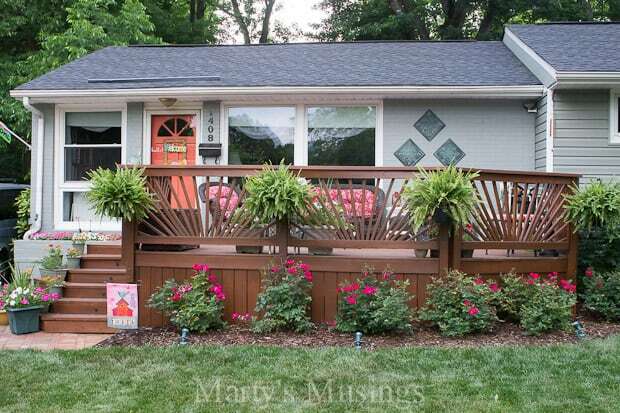 Measuring at almost 2000 square feet, my ranch style home includes five bedrooms and two baths. We’re incredibly blessed by our home, especially considering the fact we’ve needed every single inch as we’ve raised our 5 kids and pets galore here. We’ve lived a lot of life within these walls! Unfortunately, the majority of our rooms are small and the closets even smaller. The house was built in the 1950’s, and I’ve had to think creatively to make the best use of the space. 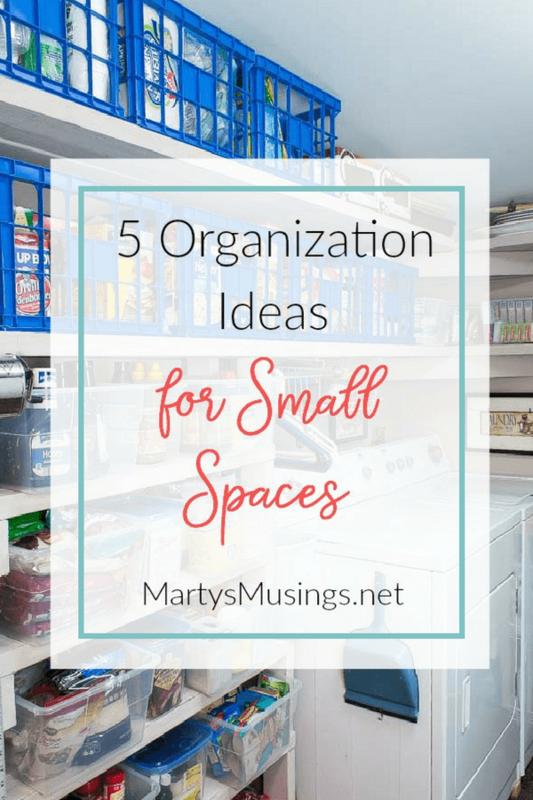 Need a few tips and organization ideas for small spaces? I’m here to help! One of the first things to decide is how you want the storage to function. Do you want open or closed storage? Do you like using woven or plastic baskets or do you prefer tubs with a lid to protect the items inside? There are many inexpensive styles available from the dollar store, yard sales or thrift stores. You can see here in my craft room I used both! 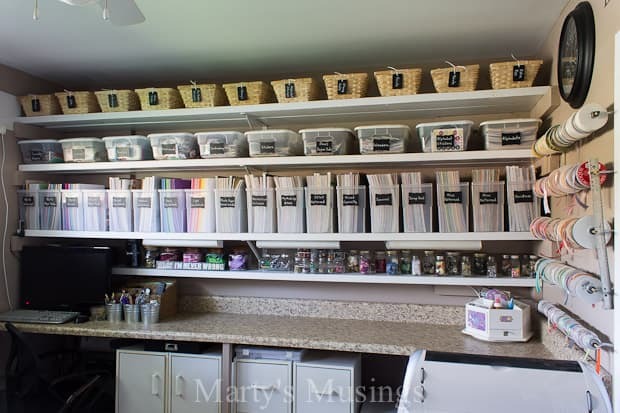 Clear plastic storage tubs can be used for everything from papers to schoolwork to crafting supplies. I added my own DIY chalkboard tags for uniformity and to keep the decor more current. The baskets came from the dollar store. I updated my room because of the need for scrapbook paper organization and these clear file folder boxes are my favorite for functionality and consistency. In my laundry room/pantry I used a combination of plastic crates (like these) and tubs without lids to store items that wouldn’t fit in my small kitchen. The see through storage allows me to see at a glance the foods that I’m looking for. One of the most overlooked spaces? Under the beds! There’s a goldmine of empty space just waiting for you to store wrapping paper, canned goods, out of season clothes or even games and books. 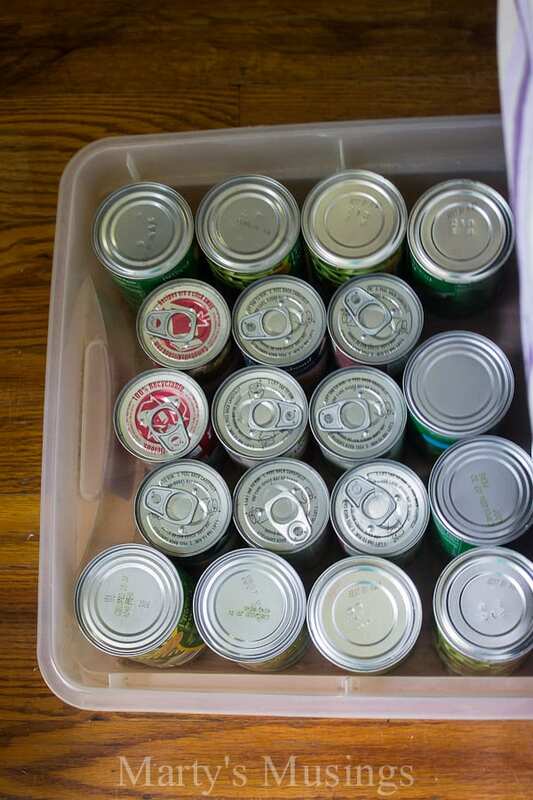 Use underbed plastic tubs or save cardboard boxes that will fit the opening. Tim found a place for storage where there was none! I think I’ll keep this guy around! 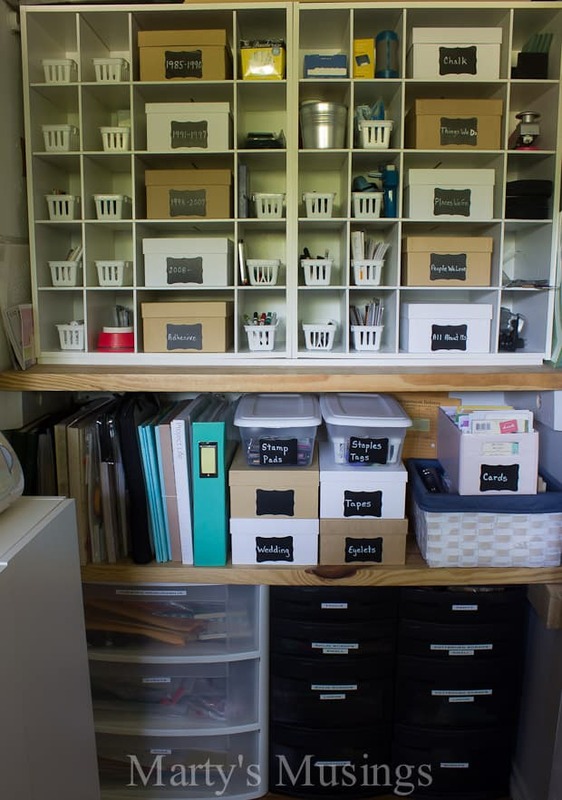 In the craft room closet I added a wooden shoe organizer, shelves and inexpensive photo boxes and labeled everything for easy access. I even took the door off the closet because the organization looks great and performs even better! You may not want to use your closet for craft supplies like me, but what about photo albums, books, files, pet supplies and more? Do you have more “stuff” than clothes? Maybe a closet would be better used for your overflow rather than clothing. Remember that small bathroom I showed you? Since many older homes come with limited options for bathroom storage, we shopped around to find the best storage solution for the shower. These shower caddies are solid and hold larger sized bottles than most others. They keep us both organized and cleaner! Storage doesn’t have to be ugly. 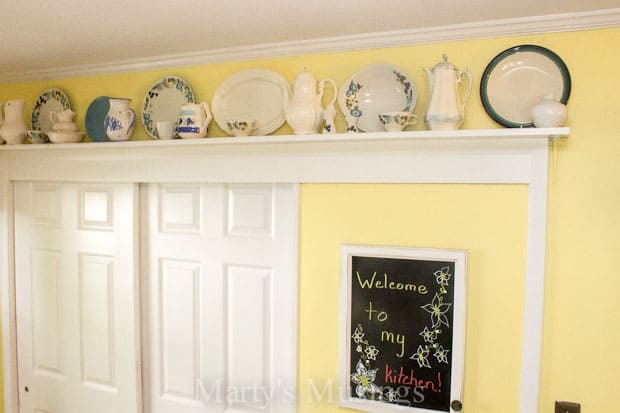 Take advantage of unused space above doors for both beautiful and clever ways to store your dishes, knick knacks or collections. Of course, the best way to organize is have less stuff! A general rule that will help you keep your possessions under control (and not the other way around) is when you bring an item into your home, sell or give away another item. If you tend to be a hoarder, have someone you trust help you weed through the necessities and extras. Once you get organized, stay organized! Take the necessary time to keep your organization working for you. I’d love to know what area of your home is hardest to keep organized? Don’t forget about under the couch. Even if it doesn’t have a skirt you can use baskets or decorative boxes. Most have 4 inches or so. Futons have even more. We stated doing this when we had our house up for sale and kept it up after we moved. Hi, Nancy. We’ve used the space under the couch before, but for Christmas presents at times, and big, gawky items! Lots of great ideas…will def be using some of them. Thanks! Hi, Jen. Glad you could you some of my ideas for small spaces. Definitely some challenges with a small home but that doesn’t mean we have to put up with ugly, does it? I hope you’ll enjoy my blog and join my community of those learning how to create a treasured home! Love how you integrated so much storage into your home! Older houses definitely don’t have tons of storage – when we built our house, one thing I really wanted was TONS of storage. Still working on getting everything organized, but it’s nice to know it’s there. One of my favorite storage ideas in bathrooms is to keep everything in bins/baskets and tuck them out of sight. I really hate when my counters are cluttered, so I have a basket for makeup and hair. I just pull it out when i use it and tuck it away when it’s not. It’s amazing how simple it is to keep a bathroom clean when there’s not stuff all around. Hey, Kim! Love your tip on baskets. Both our bathrooms are small and I have baskets in them to keep all the “stuff” out of sight. It’s just so necessary if you want an uncluttered home! Or if you ever want to clean it, lol! Hi, Sue. “Like the distribution center”! That’s too funny! It’s hard when you end up storing things for other people. As my kids have left home we’ve definitely dealt with that situation and I know one day we’ll have to downsize even more. I hope some of my ideas were helpful!